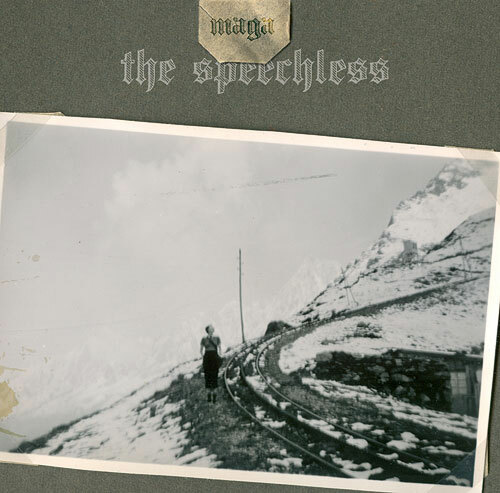 Maga – The Speechless | Esc.rec. ‘The Speechless’ is MAGA’s third album on esc.rec. already. He sure is on the roll… Sounds are more four to the floor and most of it is certainly as raw as some of the tracks on ‘My Mind Machine’. The opening track seems like a clear reference to MAGA’s hearing damage, which prevents him from working with sound for long periods of time on end. A nasty disability indeed for a passionate musician like Marc. The other tracks are also quite dark in a way, but that feeling mostly gets overpowered by the urge to start moving to the ever present groove. The tracks are roaring and growling on acid from time to time and aimed straight at your less delicate motor skills. Ofcourse this doesn’t mean that the beats have lost their delicacy aswell. Just like on his first two albums MAGA’s drumming skills are never far away.